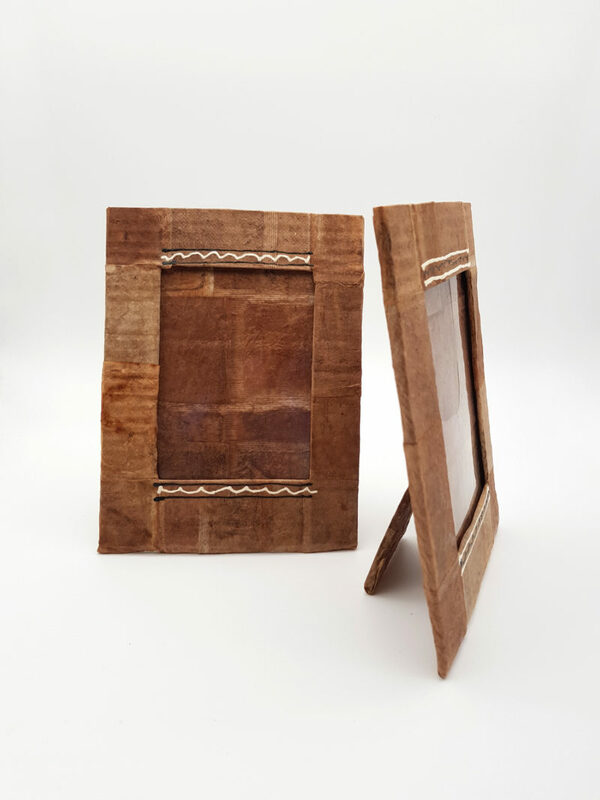 Yonela previously worked as a trainee at an NGO that made picture frames from recycled paper. She brought this idea to us and put her unique mark on them by using t-bags. Yonela cuts the board used as the base and sticks the t-bags onto the board. She then adds the plastic that is used to protect the picture placed in the frame. The last step is the design she paints around the edge of the picture. Get 10% off your first order Join our newsletter to receive the latest updates and promotion Shortcode field is empty!